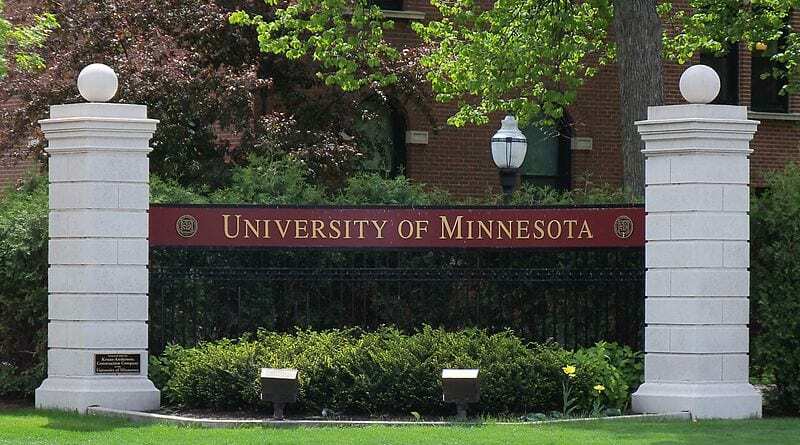 Minneapolis, MN–The National Symposium for Debate will held at The University of Minnesota, Twin Cities from July 20-Aug 3. Visit http://nsdebate.org/ to learn about our staff, curriculum, and application process. Please read the instructions carefully before you apply; incomplete applications will not be accepted. We are no longer accepting applications. Thank you to everyone that applied, and we look forward to seeing you in Minneapolis! Chris Castillo is an assistant coach at Strake Jesuit in Houston, TX. He has coached the champions of Grapevine, University of Texas, Winston Churchill, the Victory Briefs tournament, Berkeley and the Bronx , Greenhill and University round robins. His students have competed in late out rounds at nearly every major tournament including the Glenbrooks, Big Bronx, Minneapple, Harvard, Greenhill, and the TOC. He has coached the top speaker at Harvard, Stanford, the Texas state tournament, the Greenhill round robin and the VBT. Since 2008 he has coached four finalists, three semifinalists, and one champion at the TFA state tournament. Samantha debated extensively on the national circuit for Stuyvesant High School for four years. She qualified to the TOC her senior year, earning bids from finals of Ridge and quarterfinals of Lexington. In addition, over the course of her career, she reached bid rounds at Columbia and Bronx. Her junior and senior years she reached elimination rounds at 18 of the 21 bid tournaments she attended, including elims at Yale, Bronx, Blake, Sunvite, Lexington, and Harvard. Samantha also received various speaker awards, including 2nd speaker at Blake her senior year, 2nd speaker at Scarsdale and Newark, 4th speaker at Bump, and placed in the top 10 speakers at Yale, Princeton, Ridge, Columbia, and Beltway. She also received invites to numerous round robins, including ones at Lexington, Newark, Beltway, Penn, Hockaday, and Harrison. Samantha attends the University of Chicago and plans to major in philosophy. Michael debated for four years at Loyola High School in California. He won the College Prep and Berkeley tournaments, and got to finals of Bronx Science, Voices and Stanford. His senior year he ultimately received nine bids to the Tournament of Champions, where he ended his career in quarters. Michael currently coaches for Walt Whitman High School. Terrence is a coach for his alma mater, Lake Highland Prep, where he debated for four years. Over the course of his career he earned nine bids, won Lexington and the Crestian Round Robin, was Top Speaker of Sunvite, twice finished with winning records at the TOC and was a team captain his senior year. In his first year of coaching, he coached two students to the TOCs and to numerous finals and outrounds appearances, the Mineapple JV Champion, and many local achievements including finals of the Florida Novice State Championships. Terrence is pursuing degrees in Interdisciplinary studies (“Social Justice Advocacy”) and Marketing as a University Fellow at the University of Alabama, and is the current president of The Mallet Assembly. Monica Amestoy debated in high school for Flintridge Sacred Heart Academy in La Cañada, CA. She helped start the debate team at her school where she was the first person to ever qualify to the TOC. As a junior, she reached octafinals of the NDCA championships. Her senior year, she was a quarterfinalist at the Victory Briefs Tournament. Monica was top speaker at the Cal Berkeley Invitational. She also reached bid rounds at Valley, Apple Valley, Alta, College Prep, Stanford and Berkeley. She was a finalist and top speaker at the Damien Invitational and also received speaker awards at the Meadows Invitational, CPS, Apple Valley, and Golden Desert. Monica competed at the Hockaday and Lexington Round Robins. In college, she has research three final rounds of NPDA style parli debate. She also helped coach a policy team that qualed to the TOC in Utah. Bob Overing is an assistant coach for his alma mater Loyola High School in Los Angeles and currently debates for the USC Trojan Debate Squad. He qualified to the Tournament of Champions in both his junior and senior years. As a senior, Bob cleared at every tournament he attended while amassing a circuit-leading 11 bids from tournaments including Greenhill, Glenbrooks, and Victory Briefs. He won Golden Desert and took 2nd at Harker, Meadows, Blake, and Stanford, receiving speaker awards at these and several others. Also in his senior year, he attended the MBA Round Robin, the Cal Round Robin, and the Kandi King Round Robin. Bob went undefeated at a Western Bay Forensic League tournament and finished his high school career on a 2-1 loss in the final round of the Tournament of Champions. Bob has coached the champions of Cal Berkeley, College Prep (twice), Boise State, USC, the Kandi King Round Robin and the Idaho State tournament, finalists at Voices, Big Bronx, Columbia, and Stanford, and a TOC quarterfinalist. In the 2012-13 season, his students earned 19 total bids. In the 2013-14 season, his students amassed 13 bids. Ben Koh is the LD coach at Byram Hills High School and a private coach. He debated for Loyola High School in California for 4 years, serving as Captain his senior year. In his junior year, he went undefeated at a Western Bay Forensics League tournament and qualified to NFL Nationals in Policy debate. He competed at the TOC in LD his senior year and attends New York University. This year coached 5 debaters to qualify to the TOC. His students have had numerous achievements including semifinalists at Stanford, the NYSDCA State Tournament, Princeton, and the Glenbrooks; finalists at the Penn RR; and championships at CPS, USC, and the Kandi King Round Robin. 12/27 update: NSD is pleased to announce some of our first-year hires. We will announce more in the coming weeks.